Serena Williams is, without question, one of the greatest athletes who has ever lived. 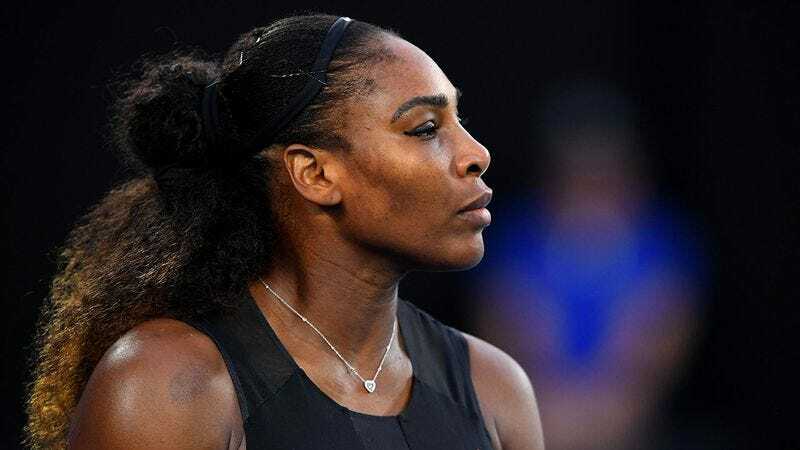 Still dominating women’s tennis more than two decades after making her professional debut, Williams sat down with us to share the secrets behind her extraordinary success. 1. When did you realize you had the potential to be a world-class tennis player? My sister Venus once told me that it helps to imagine the ball as the sun and the tennis racket as some kind of large sun-whacking paddle up there in outer space, whacking the sun all around the galaxy. And the tennis player, well, she’s God, and the Devil also lives in space in this scenario, and he’s on the other side of the net, which is Jupiter, I think. That really helped me get out of my head and focus on the game. 3. What’s the most important thing for young tennis players to practice if they want to succeed? It is absolutely crucial to practice bending your knees from a very early age. It’s hard to walk and hit the ball when your knees don’t bend, so it’s essential to train your leg muscles to respond to brain messages that say “bend.” Goose-stepping has its place in life, but it’s not on the tennis court. 4. How do you stay in such incredible shape? Every year on Christmas morning, I wake up before the rest of my family and do five jumping jacks. Then I rest for an hour and do five more. It gets the blood flowing and keeps me limber. 5. What’s your favorite sport outside of tennis? Venus and I invented a sport called Fox Nuggets. The goal of the game is to lure a wild fox into the other player’s vehicle by leaving a trail of chicken nuggets from the forest to a parking lot. First one to get a fox in the other person’s car then teach the fox to drive that person’s car to a drive-thru and purchase more nuggets is the winner. The winner gets to keep the nuggets, the fox, and the other player’s car.